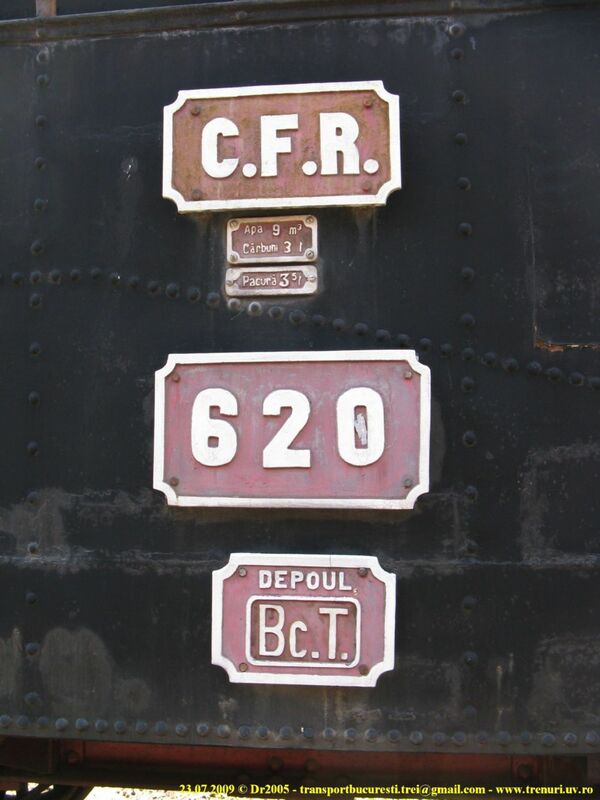 More pictures (over 90) with steam locomotives, at high resolutions, can be seen in this page. Photo by Dr2005 - transportbucuresti.trei(a)gmail.com, www.trenuri.uv.ro. 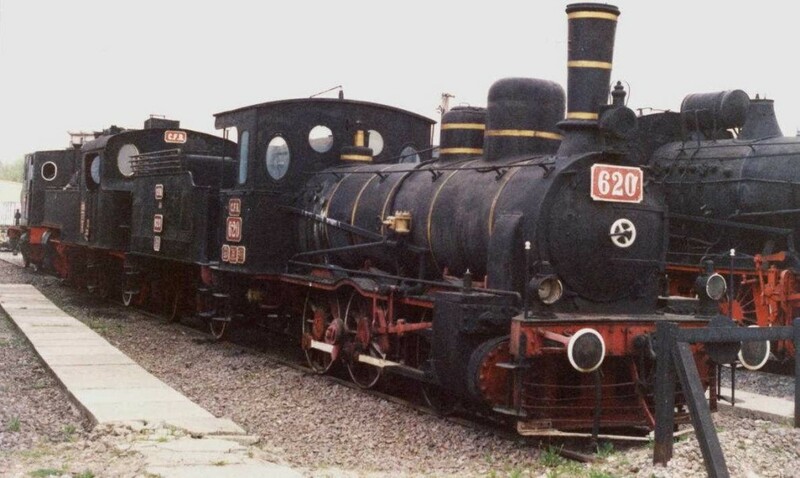 620 steam loco in Sibiu Museum. 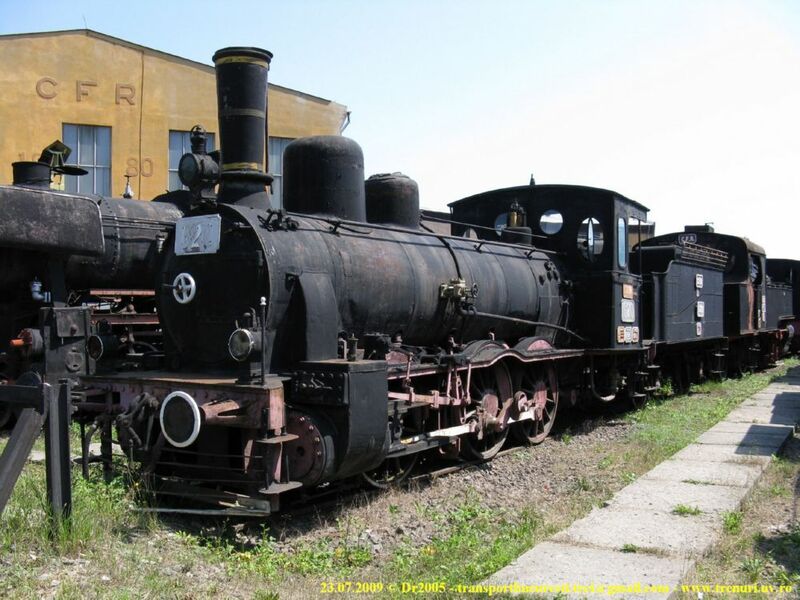 The loco is part of a 84 pices series built between 1890 and 1893 by different German and Belgian companies. Due to their simple construction the locos where easy to sevice and they where used to trail passenger and freight trains on the plain lines. They where taken out of sevice only in 1960's. The 620 loco, named "Murgeni" was used on Moldavian lines till 1950, when it was taken to Bucharest Marshalling Yasrd and then to Bucharest Depot. 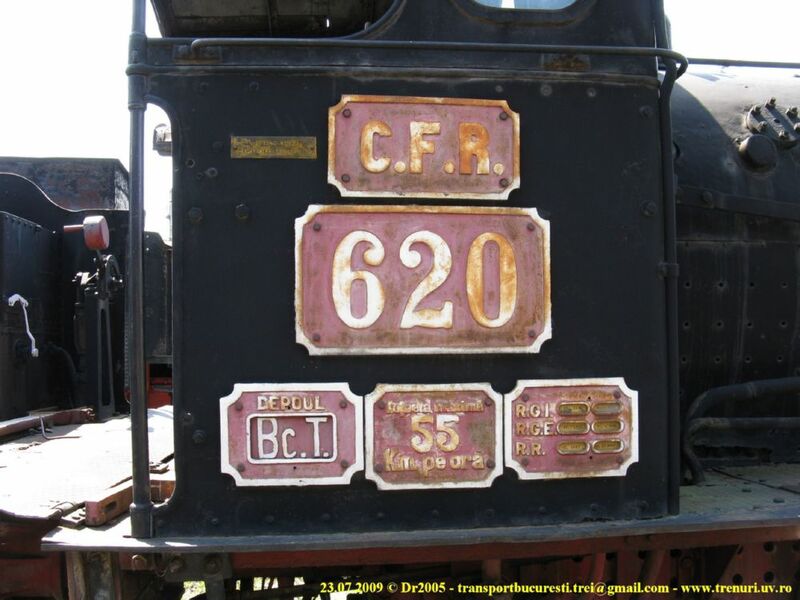 It was retired only in 1971 and transfered to Bucharest Railway Museum. 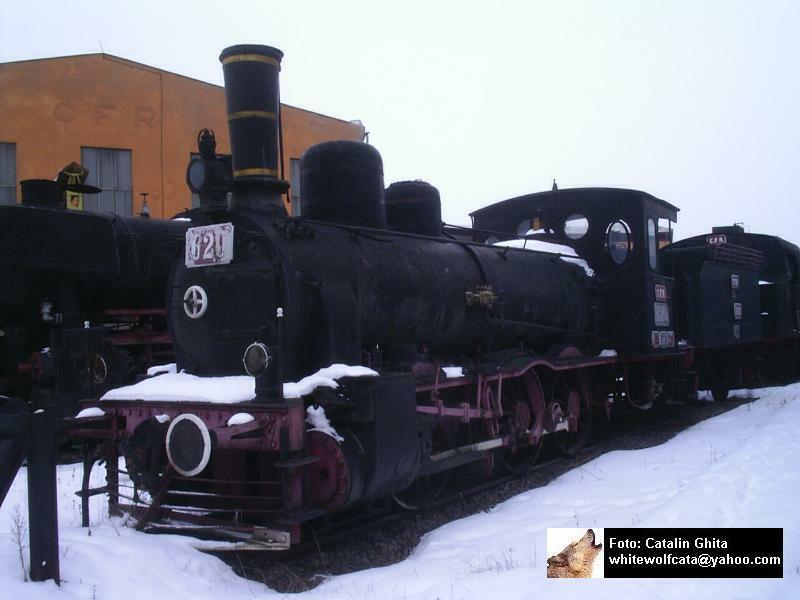 Now the loco is exhibited in Sibiu Steam Locos Museum along with other important pieces. 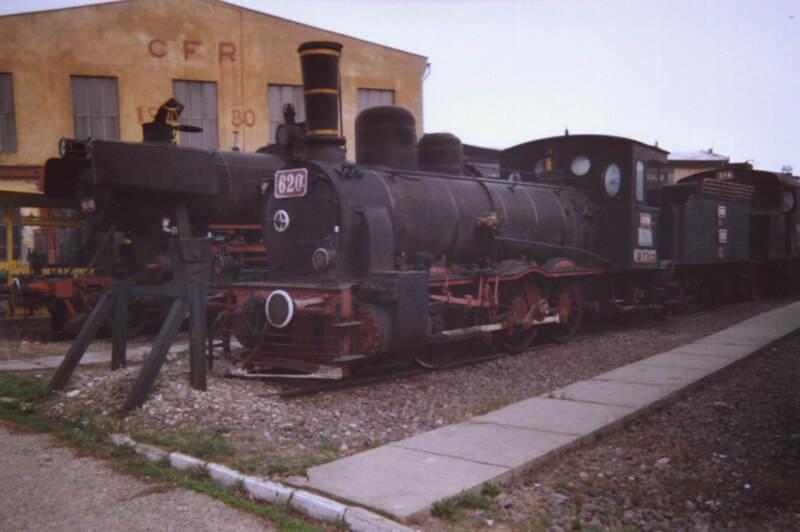 August 2002, Sibiu depot (railways museum), Romania. A beatiful steam locomotive, the CFR 620. Unfortunately the main rod is lost. ROMANIA. Lateral view of 620 steam locomotive. 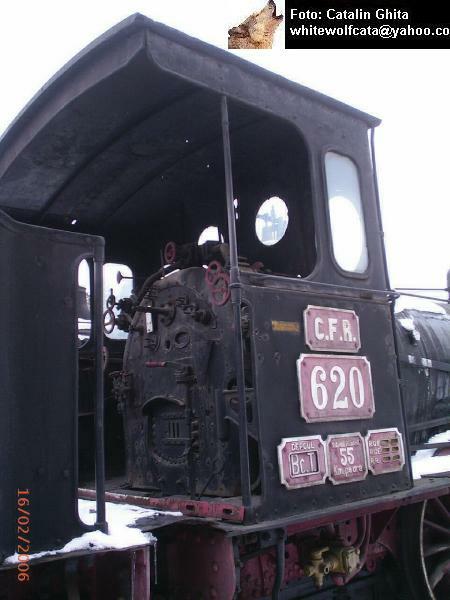 the former CFR 620 at Sibiu railway-museum at easter 2003.